If your company wants to save all it can during procurement, it needs to be flexible enough to adjust to new projects that affect travel. Just as the recent I-83 disaster represented some possible repercussions for logistics in Atlanta, an update to the Bayonne Bridge in New Jersey can bring new opportunities for companies that want to increase shipping value. In its report on the effort, a press release from BDP International mentioned that the expansion seems to be ahead of schedule, with ships possibly able to visit their New York port destinations as soon as July. Although bridge construction is projected to continue into 2019, the main work of elevating the bridge is set for completion, despite the delays and additional costs that have beset the project in the past two years. New York Shipping Association President John Nardi gave a measured description of the bridge's impact in the same BDPI statement. "While we do not expect an initial windfall of additional cargo, we do believe that the lower costs and other benefits of the larger vessels will result in an incremental increase in cargo and will also keep the port and [our] members competitive for the future," he said. Even if the cargo volume doesn't jump up immediately, welcoming larger vessels could be a significant step for New York and New Jersey ports. 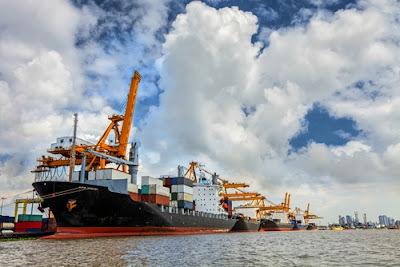 The news echoes other reports of shipping increases and leads to the question of what the future will look like for the companies that use these bigger container ships. A new bridge update could be more welcoming to large ships on the east coast. While L.A. saw dramatic drops in weighted berth productivity between Friday and Saturday, things were far more evenly distributed on the other coast. 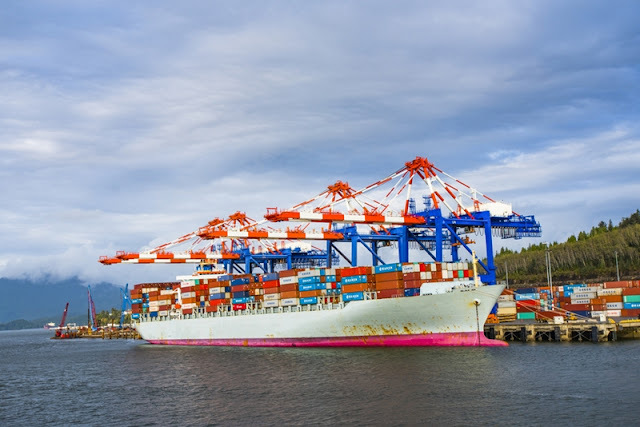 The former also saw its percentage of container demand spike on Tuesdays, while for the latter it was Monday that brought this peak.In October, The Journal of Commerce reported on the path of shipping development and how it compares on either of the U.S. coasts. Interestingly, there was a notable difference in activity between Los Angeles and the New York/New Jersey areas when measuring demand throughout the week. Differing ships sizes, even in the largest classes, can also challenge companies to use their resources wisely. As Marine Insight recently pointed out, the names and designs of these vessels can depend on where they plan to pass through and what their cargo is. Qatar Max ships, for example, are reportedly meant to transport liquefied natural gas and can fit one port in particular. Compared to that are the Chinamax vessels, which can account for 4 million tons of dead weight. The 2016 Container Traffic Report from Ocean Shipping Consultants said that North American ports increased the volume of containers handled by 216 percent in a span of 17 years (starting in 1990). The report also said that Pacific shares have dropped since 2012. Along with using accurate pricing benchmarks to think ahead, companies can supplement global sourcing for a plan that takes all factors into account.